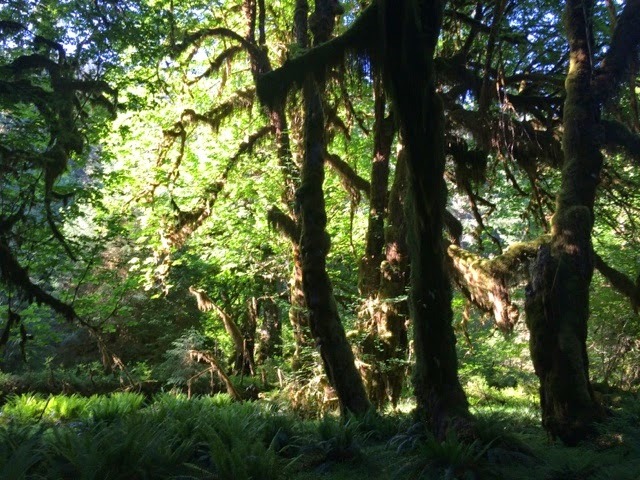 Friday was a short drive to Seaquest State Park in Washington, just west of Mt. St. Helens and back amongst the people that pump their own gas! Do you have any idea how difficult it is to not pump your own gas in Oregon? We did a quick tour of spectacular Mt. 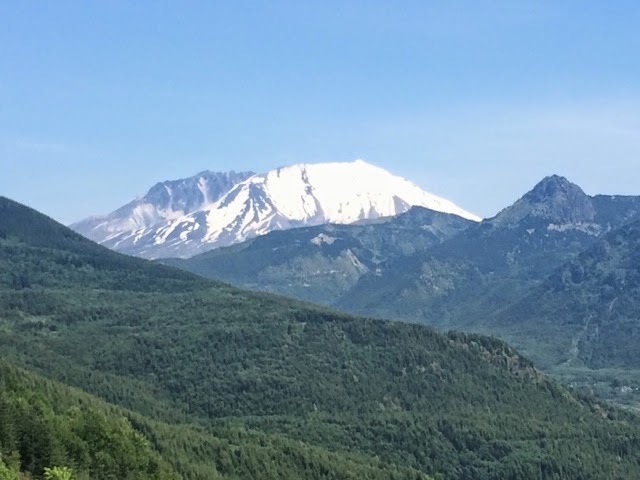 St. Helens, hiking the Hummocks trail and visiting the Johnston Ridge Observatory. What an incredible volcano! 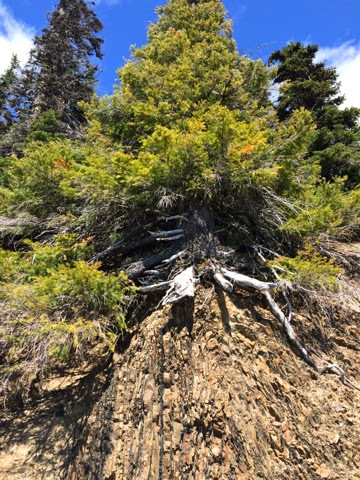 The devastation caused by the 1980 eruption of Mt. 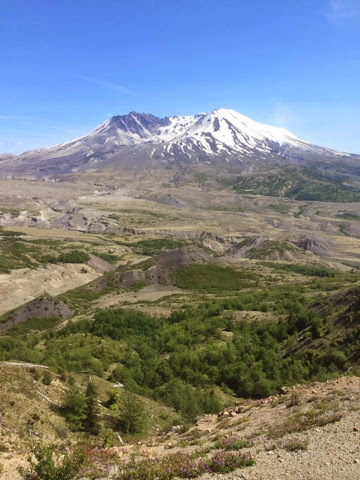 St. Helens is noticeable and dramatic, but the landscape is still so beautiful. It's amazing to think what it must have been like. We awoke to a light drizzle on Saturday morning, but it quickly dissipated, giving way to glorious sunshine. 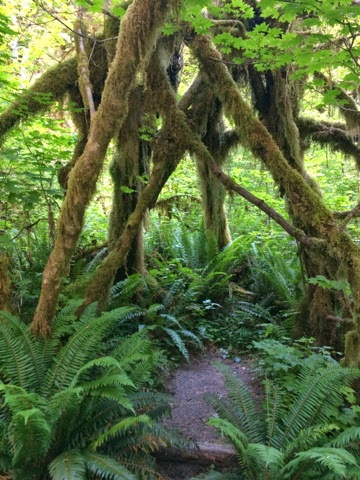 We drove northwest to the Olympic Peninsula and our camp for the next couple nights in the Hoh Rainforest, one of the incredible ecosystems in Olympic National Park. 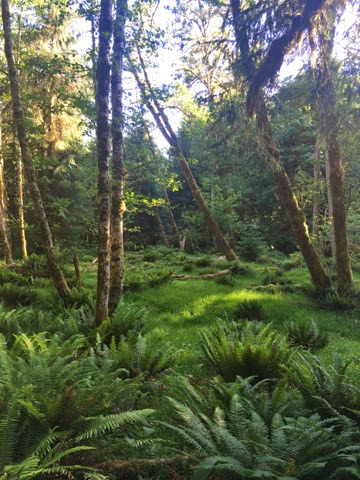 The Hoh is one of the largest temperate rainforests in the US and if you stand still for too long moss will begin to grow on you. After our long driving day, we spent the evening doing a couple short hikes and relaxing with our delicious Portland beers from my sister. 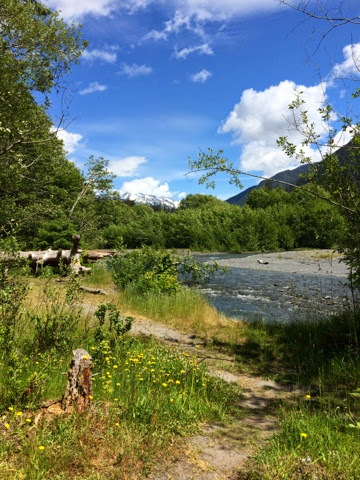 We began yesterday with the Hoh River hike to Five Mile Island (creatively named because it is 5.3 miles from the trail head). Amazing! 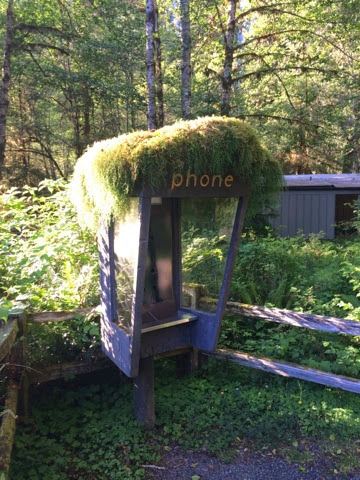 The trees are dripping with moss and everything is so green. 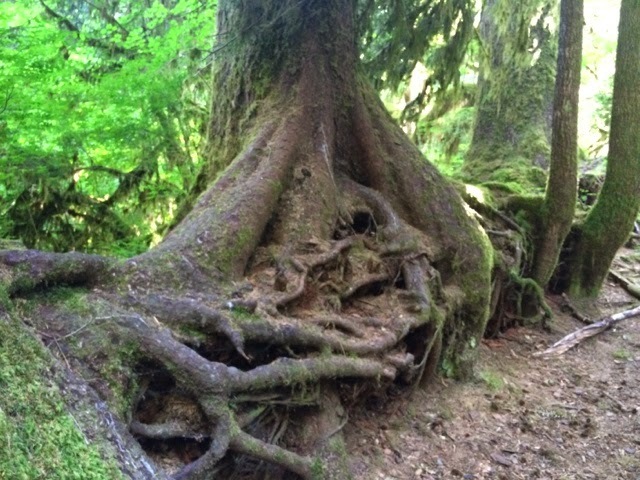 Many of the trees are bunched together in colonnades because it was the best spot on this nurse log. 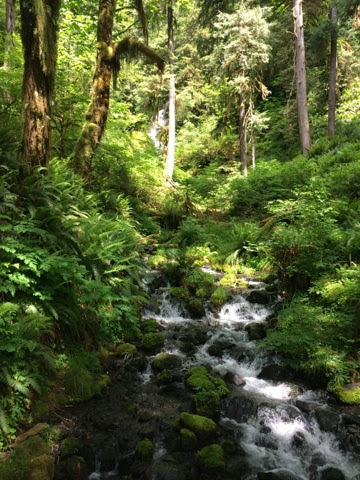 The hike took us from ancient old growth, through a section of giant cedars, past two waterfalls (cascades), into a younger ferny rainforest, and along the Hoh River. 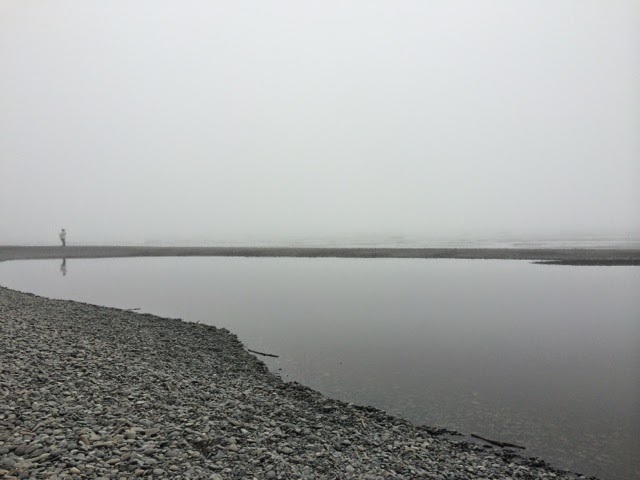 Following our hike, we made a quick trip to Ruby Beach to see our old friend the Pacific Ocean. 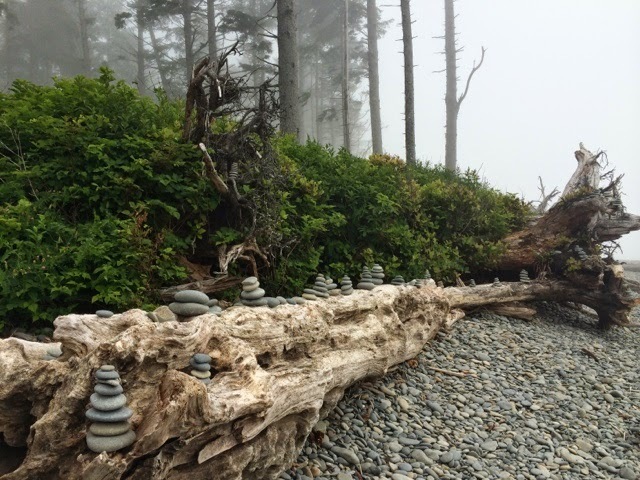 The beach was shrouded in a foggy mist, but we could see the sea stacks, we skipped some perfectly rounded rocks, and dipped my toes in the ocean. 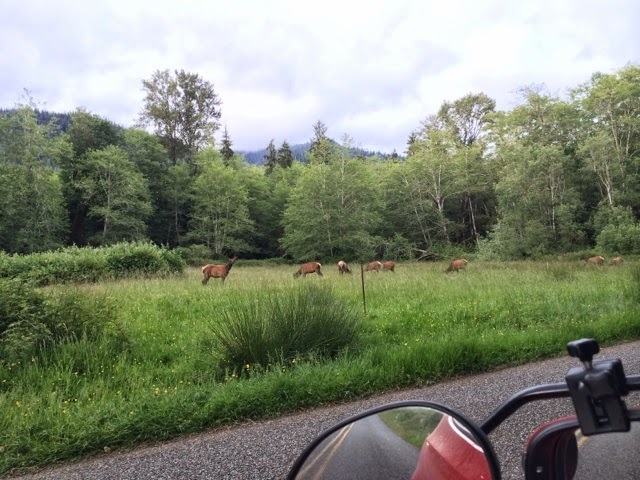 On our drive back to camp we were lucky enough to see the elusive elks crossing the road! It was a fantastic, if not tiring, day. 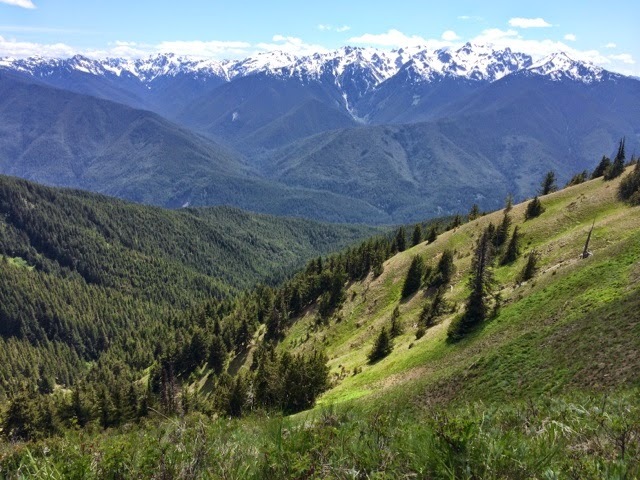 Today was a short drive to our new camp at Heart O' The Hills campground, at the foot of Hurricane Ridge. 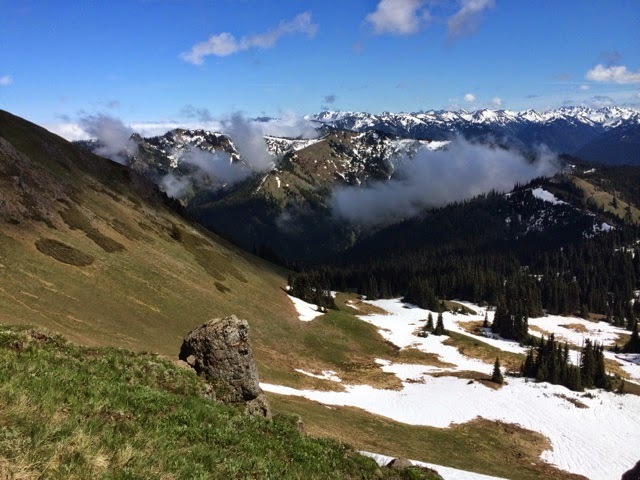 We unhitched and headed for the ridge and boy did it exceed expectations! 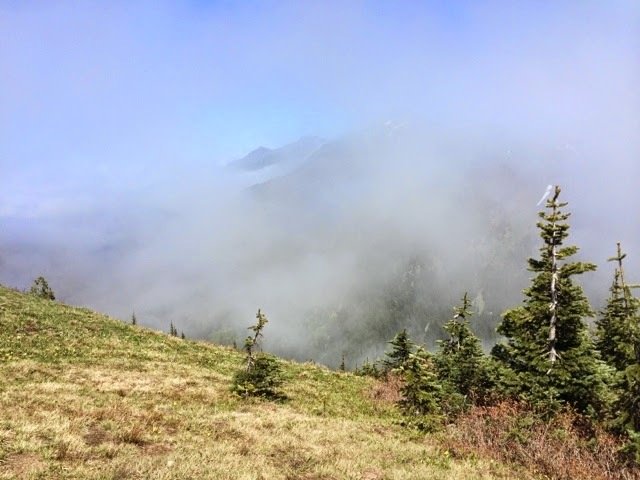 While camp was blanketed with low, wet clouds, we drove above them and popped out into the sun on the other side. 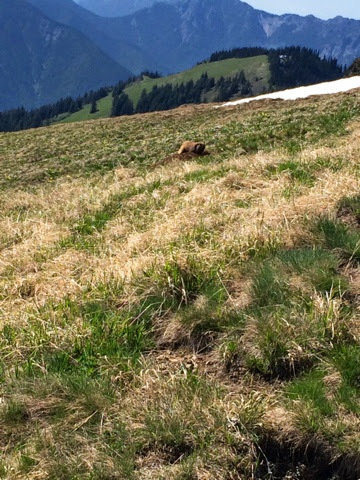 We have seen so many black tailed deer today and even saw a few marmots! 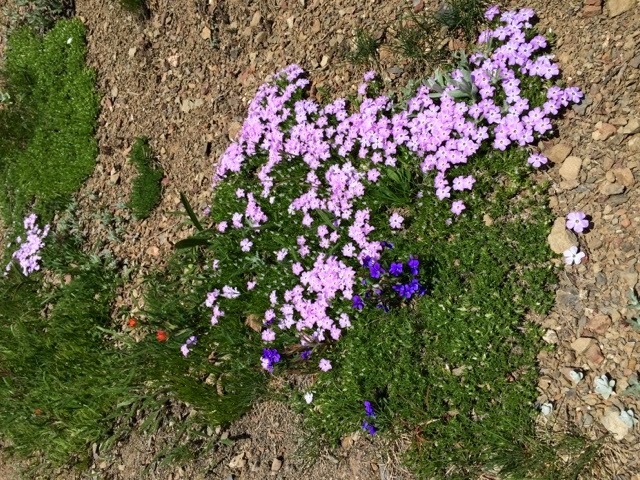 We hiked up to Hurricane Hill and drank it all in: the snow capped mountains, the green mountain meadows, the fragrant meadow flowers, the snow, the clouds BELOW us, and the wildlife. 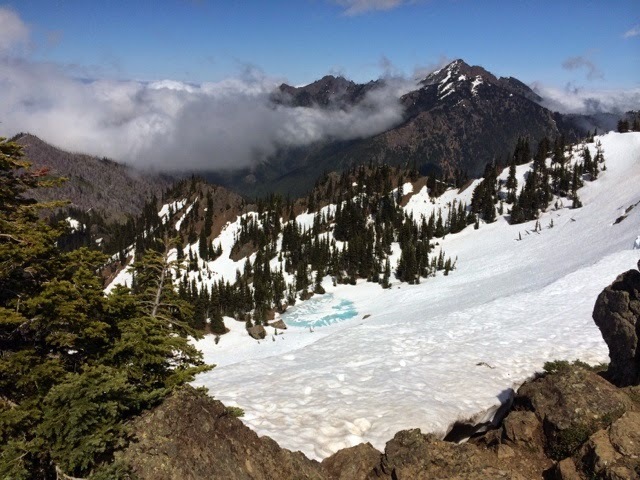 It was tiring hiking near the tree line straight up a mountain but the views were worth every second of breathlessness. Tonight we splurged on a dinner at a restaurant in Port Angeles and then drove to the Ediz Hook where we could see Canada across the water. It has been such an incredible trip, seeing so much beauty and learning so much. We are so thankful! It's also interesting to reflect on the fact that we have been to some of the extremes of the continental US from the border in Big Bend and near San Diego to the northwesterly border with Canada. We will soon begin our trip east to hit those corners, too. 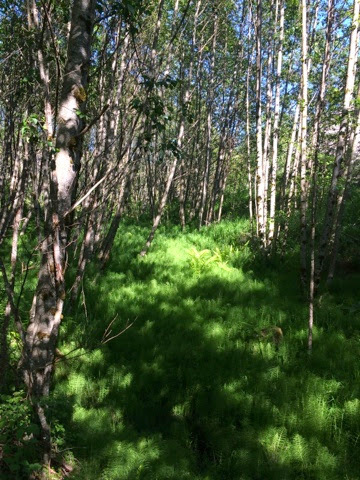 We are lucky to have such a naturally diverse country, one that has major areas of preservation open to the public. 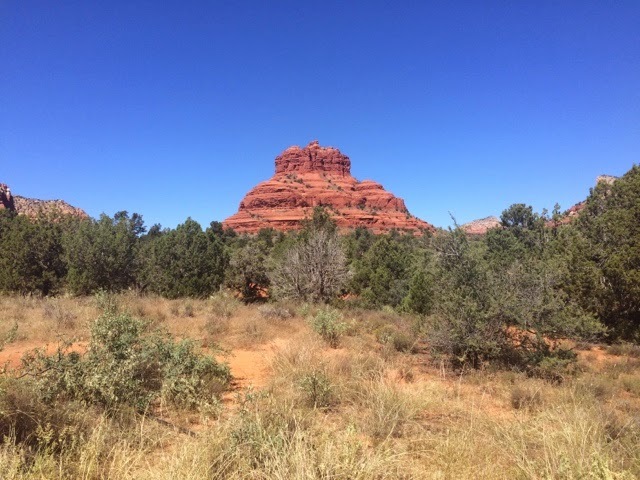 We see so many international visitors at the National Parks, almost more than those from the US and it makes you wonder if our citizens get to see everything that's here. The Seattle area is next on our list and I'm not sure what's after that! We'll figure it out. 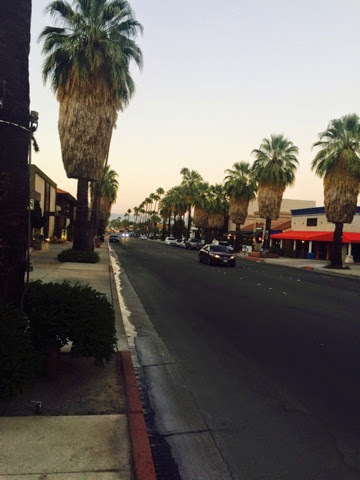 Your last blogs were spot on some of my favorite spots. Mike and I love the Olympic Peninsula. 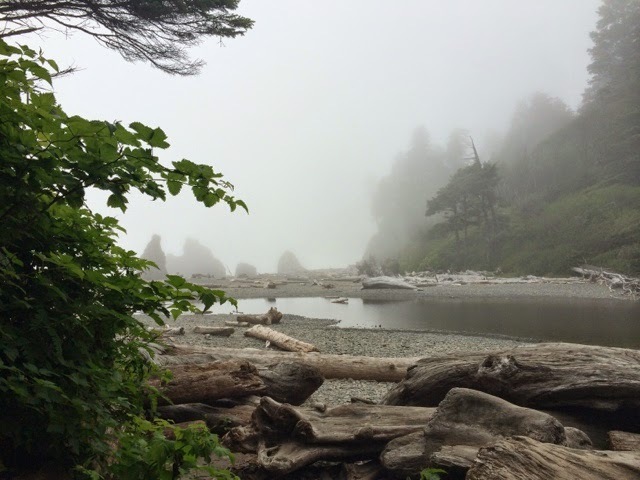 We often camp at Quinault Lake and then further up near Ruby Beach at La Push on the Quileute Indian Reservation. We have climbed down to most of those beaches. They are so beautiful. 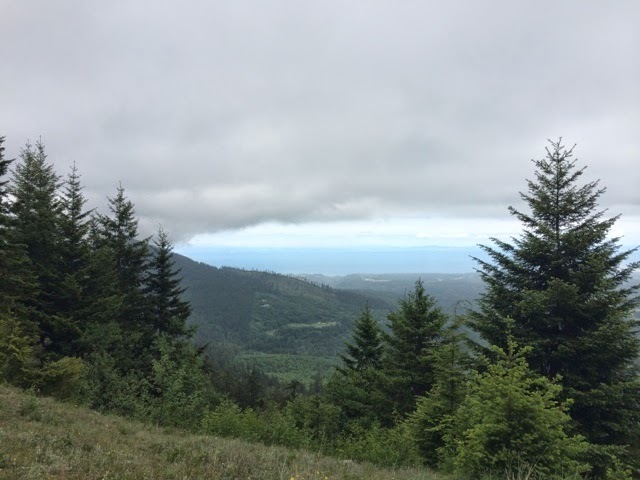 We also visited Mt St Helen's (probably at a much slower pace) and Cannon Beach and Astoria. I don't think we found "the house". It sounds like you are having a good time. When are you back in Chicago?